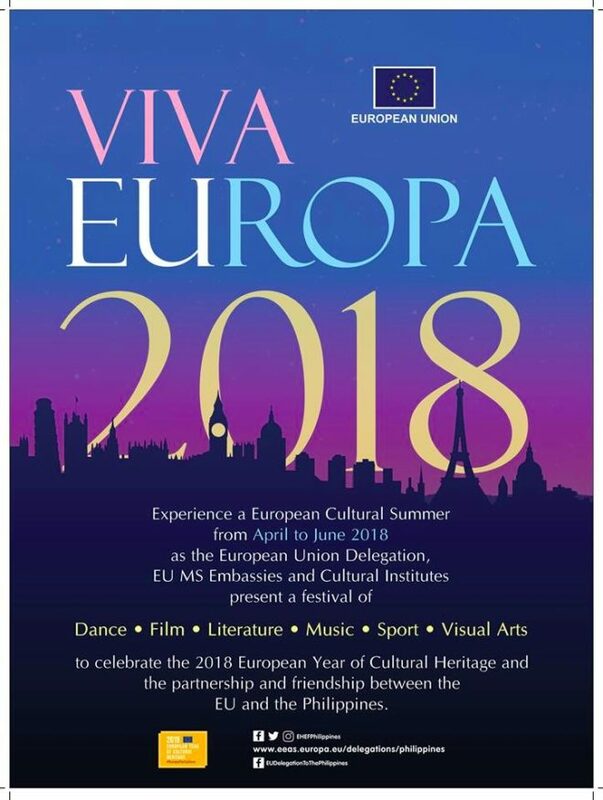 From April to June, Filipinos will get the chance to experience a European Cultural Summer dubbed "Viva Europa 2018" to showcase the best of European dance, film, literature, music, sports, and visual arts. The following personalities will participate in the biking tour: EU Ambassador Franz Jessen, and his family, Austrian Ambassador Bita Rasoulian, Belgian Ambassador Michel Goffin and his family, German Ambassador Gordon Kricke, the Charge d' Affaires of the Embassy of France, Mr Laurent Legodec and the Charge d' Affaires of the Embassy of Romania, Mr. Mihai Sion. Children will also be in the spotlight of this year's cultural festival. On 12 May, through the "Lakbayin Natin ang EU" initiative, the EU Delegation, the EU MS embassies and cultural institutes will provide the best of European storytelling, games, languages, film, music and arts and crafts to disadvantaged children in the Museo Pambata, Roxas Boulevard, Metro Manila. Furthermore, on 24 May, a workshop and on-the-spot drawing contest for children with the theme "EUropa, Kaibigan ko to" will also be held for children from private and public schools at the Museo Pambata. The same day, the EU Delegation will hold a children's rights summit for children by children to make children aware of their basic rights and to enable them to become advocates for their own rights in their families, local communities and in their respective schools. Theme for the Summit is "Una sa Lahat: Bata" Children First. 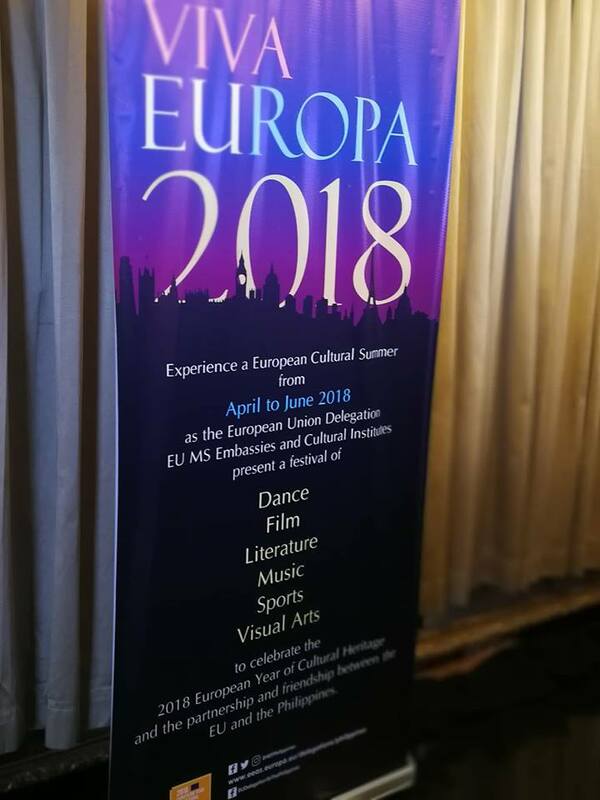 The year 2018 will mark the 10th anniversary of FEUropa, a nationwide choir competition organised by the Far Eastern University with the support of the EU delegation and the Embassy of Spain. The event will take place from 26 to 27 May at the Far Eastern University. Furthermore, on 30 May, musicians from Austria, the Philippines, Spain and Sweden will play together. Paul Zialcita is a percussion performance Spanish artist who uses an exotic mix of upcycled found objects and local materials combined with elements of Filipino Martial Arts to reimagine the Philippines on the world stage in what he calls the “Age of ^CAN DO^. Alex Alcaraz is a Flamenco guitarist who was born and raised in Granada, Spain. In 2012 he decided to move to the Philippines and since then he has been collaborating with Flamenco academies in Manila and some Filipino musicians.